The (non-) transparent human being. How deep into the person can we look? Classical concepts of human personality are based on a interplay between the „Inside“ and the „Outside“: On the one hand, a person is a participant and role-player in a social community, on the other hand every person has a private inner dimension as basis for autonomy that is not directly accessible for others. Self-reflexion, religious self-absorption or depth-oriented psychological self-experience have been considered as a preferred access to the inner dimension of a person, while others approached it only via verbal communication and interpretative understanding. At present, there can be observed a change in the relation of the “Inside” and the “Outside”. Personality is increasingly understood as “external”, but on the other hand it becomes transparent from the outside. Contemporary individuals more and more search for their identity in their perceived image and expose themselves in the media, observed by the public eye. At the same time, data that is bio- and information-technologically available is becoming the basis of the definition of personality more than ever: Genetic engineering is beginning with the total sequencing of individual genomes; brain researchers even illuminate the inside of a person with scanners in order to read their mind one day; and it is possible to reconstruct the individual profile of any person anytime by the electronic and biological data track that one leaves behind. Closely related to this change there are high hopes and fears that are both connected to the underlying conception of personality. In search of landmarks there have to be taken into consideration classical concepts of a person, the new technological possibilities have to be comprehended most accurately as possible, and their consequences need to be discussed. 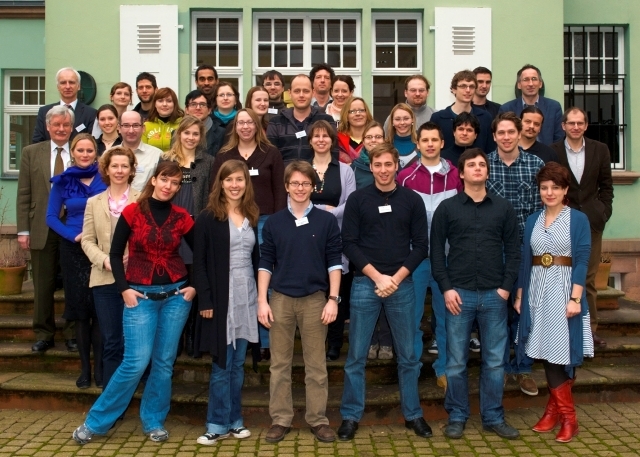 The program of the Winter School 2011 is available only in German.